So it turns out if it’s not bronchitis this week, it’s gastro. And, if you’re Hugo, you get lucky with both. It’s a good thing he’s a trooper. Needless to say, we’re sticking close to home at the moment and hoping the children are better soon. 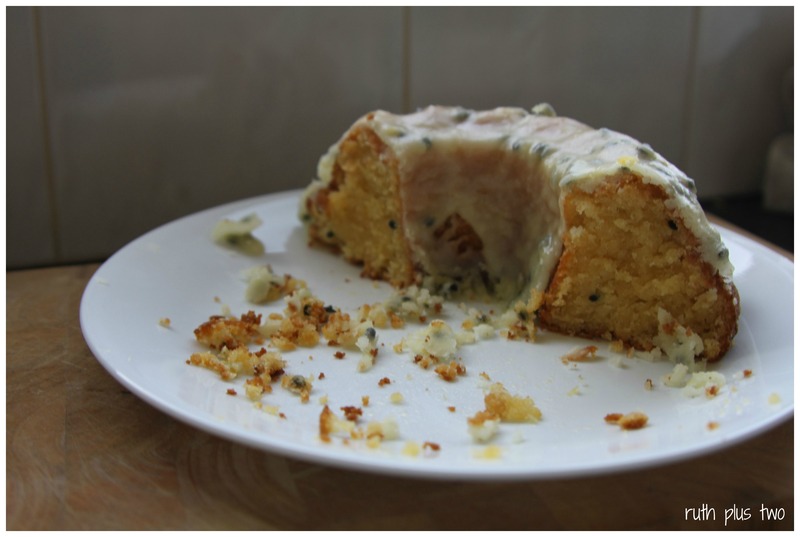 In the meantime, I thought I might share my final holiday passionfruit exploits – a gluten-free passionfruit cake and passionfruit syrup. I adapted this cake from a Women’s Weekly recipe I found online. I made it for a little afternoon tea gathering and it disappeared like hot cakes (erm…or just like…cake?). A definite winner! If you don’t need to exclude gluten from your diet, just click on the link and use the original recipe. Wait for the cake to cool completely before you make the icing – it starts to set very quickly and you’ll run into trouble if you make it too early. So speaks the voice of experience. When the icing’s ready, drizzle away to your heart’s content. It didn’t last long. There were only six adults present…everyone had seconds. 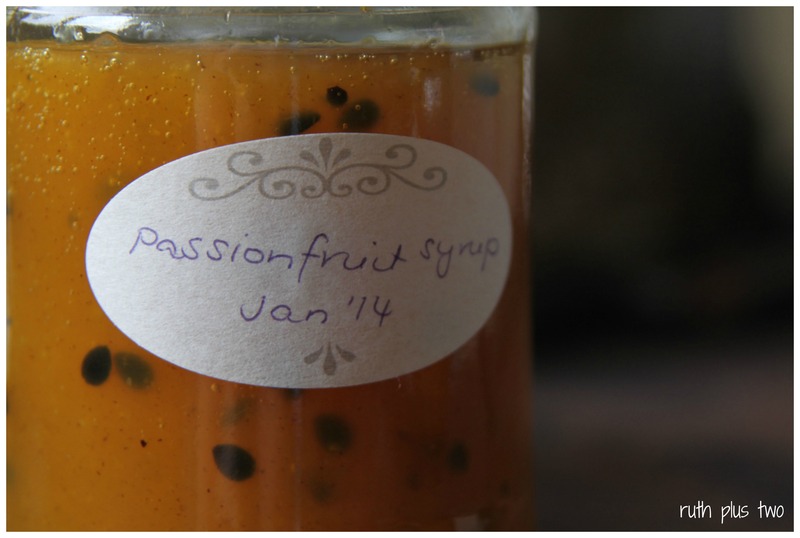 Another basket of passionfruit found themselves made into lovely passionfruit syrup. 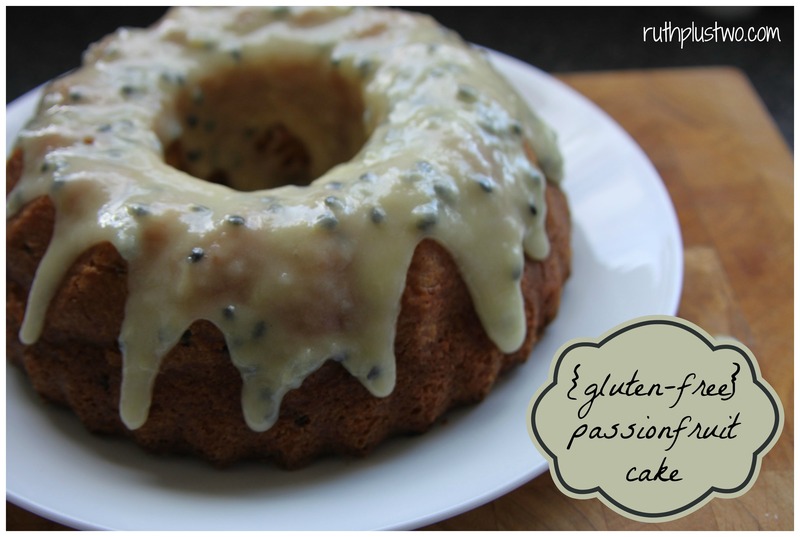 I found the recipe over at the aptly named Passion Fruit Garden and followed it to a tee. Go check it out! I hope it will brighten some ice-cream or fruit salad when there’s not so much sunshine around. * Feel free to use gluten-free self-raising flour in this recipe. To do so, use self-raising instead of plain flour and leave out the baking powder. ** The psyllium husks are optional, especially if you use a commercial gluten-free flour, but I find they help gluten-free baking hold together. *** You can substitute 3/4 cup milk mixed with 1 tablespoon lemon juice or vinegar and left to stand for 10 minutes. Preheat the oven to 180°C (160°C fan-forced). 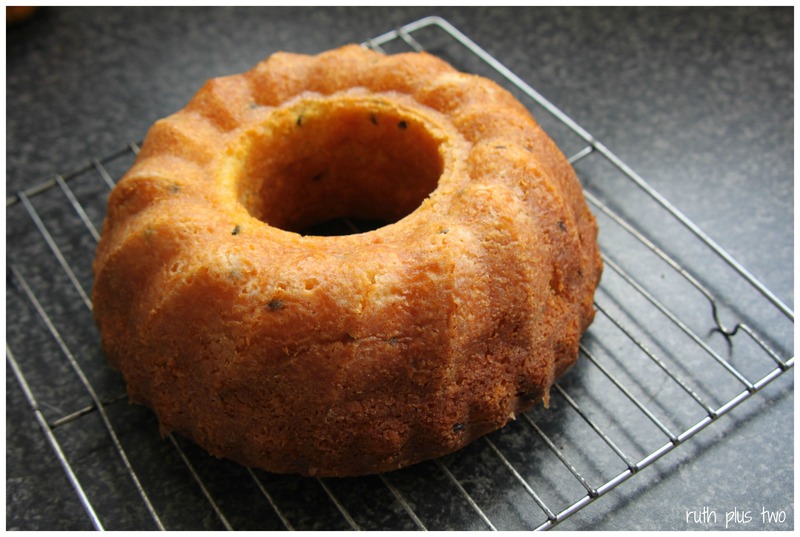 Grease and lightly flour a 24cm bundt tin or a 20cm baba cake pan; tap out excess flour. Sift flour, baking powder and psyllium husks together into a spare bowl and set aside. Beat the butter and sugar in a small bowl with an electric mixer until light and fluffy, beat in the egg yolks one at a time, beat until combined. 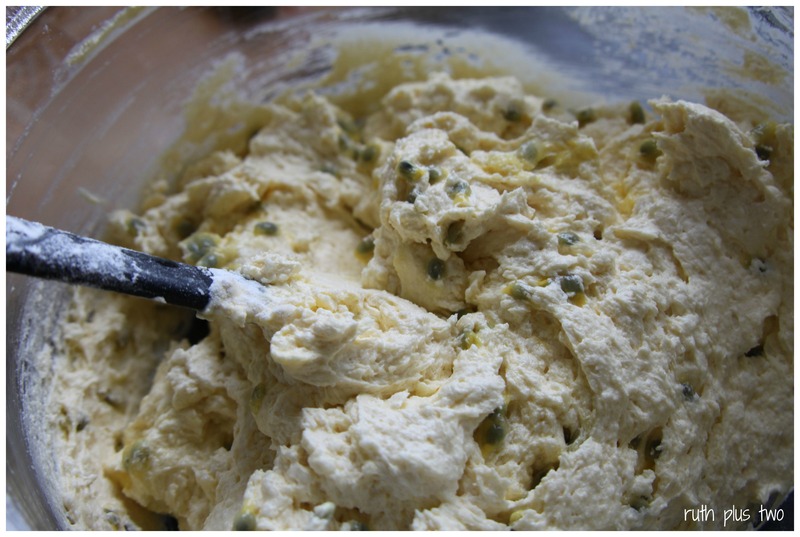 Transfer the mixture to a large bowl, fold in half the sifted flour mixture and half the buttermilk, then fold in remaining flour mixture, buttermilk and passionfruit pulp. 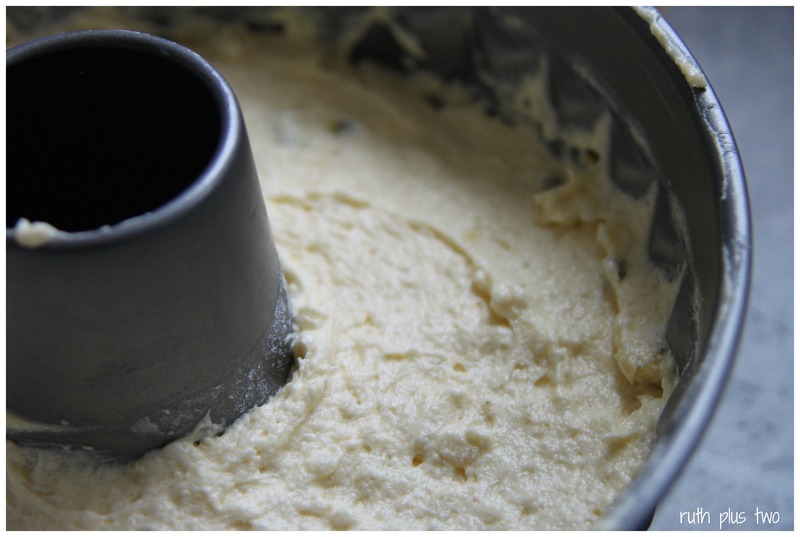 Beat the egg whites in a clean small bowl with an electric mixer until soft peaks form. Fold lightly into cake mixture in two batches. Spread the mixture into the prepared tin. Bake in a moderate oven for about 1 hour, or until golden and a skewer comes out clean. Keep a good eye on your cake from the 30 minute mark – ovens are so variable, as a gluten-free flours, so you need to be aware your cooking time may vary. Allow cake to stand in pan for 5 minutes before turning onto a wire rack to cool. 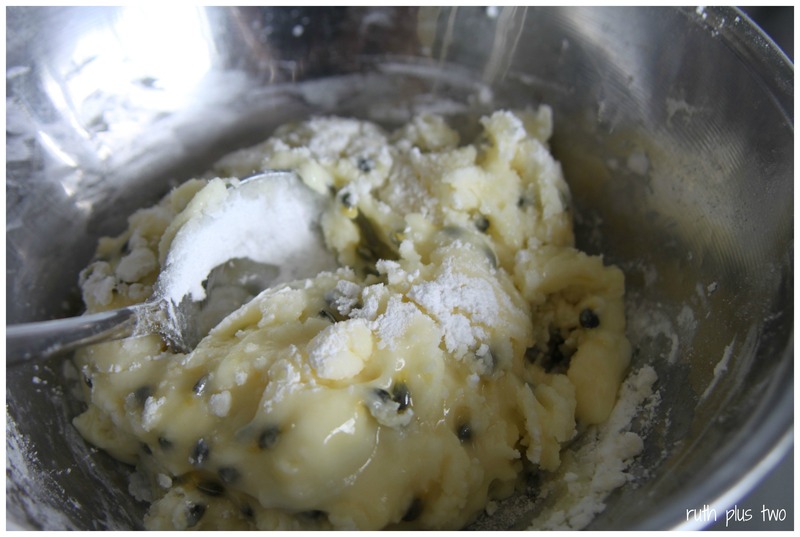 Passionfruit icing: When cake is cool, sift the icing sugar into a small heatproof bowl; using a wooden spoon, stir in enough passionfruit pulp to form a firm paste, adding lemon juice to taste (I added around 1 tblsp, but it will depend on your lemon and personal taste). Stand the bowl over a small saucepan of simmering water, stir until the icing is a pouring consistency (do not overheat). Drizzle warm icing over cake. And with that, I have bid farewell to my holiday cooking posts! 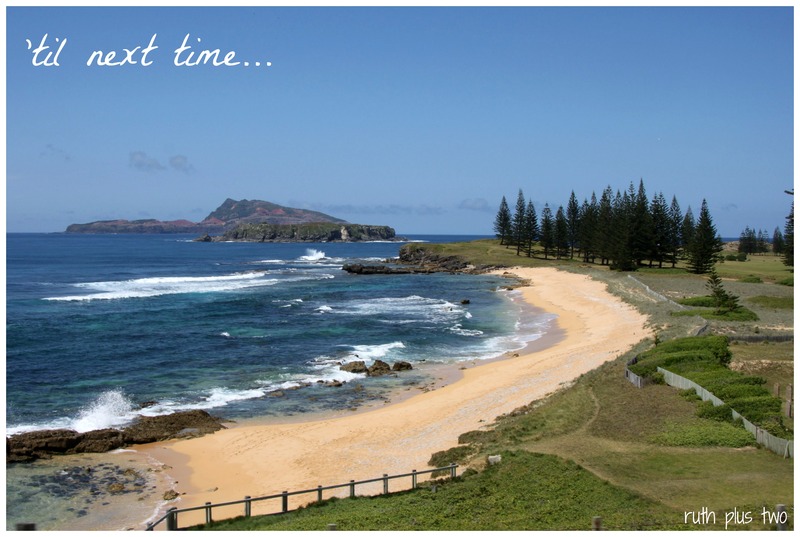 Until next time, Norfolk Island. This entry was posted in baking, gluten-free, preserving, recipe, sweet. Bookmark the permalink. Thank you – everyone seems a little better today, thank goodness! Hi Ruth, Thanks for the pingback. I hope you enjoy the passionfruit syrup. I left the syrup on the island for my parents and grandmother, but it certainly tasted good 🙂 It’s a great recipe – thanks for sharing it! And pretty easy. Be sure to let me know if you ever try it! Looks great! And perfect timing, Nick’s mum is coming to visit this week and it’s her birthday-gluten free passion fruit birthday cake coming up!